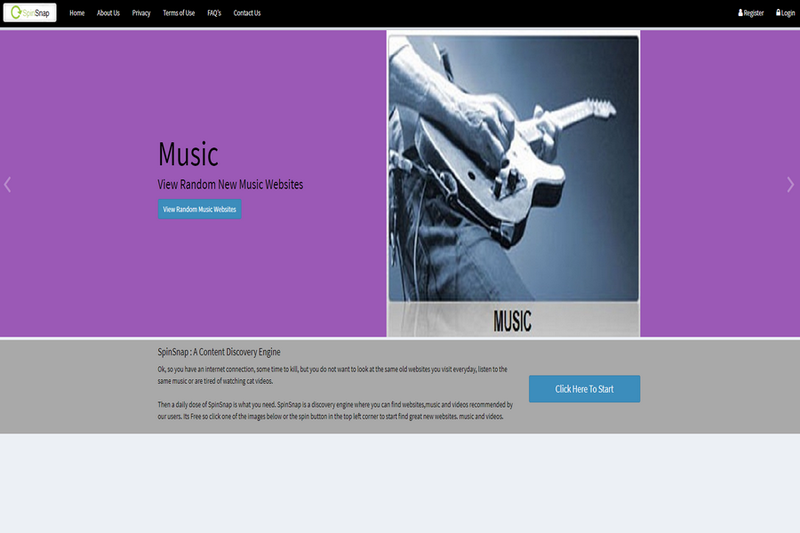 SpinSnap is content discovery panel created especially for those who love to roll in the different websites which can offer you the content of different genre. The website is absolutely free. 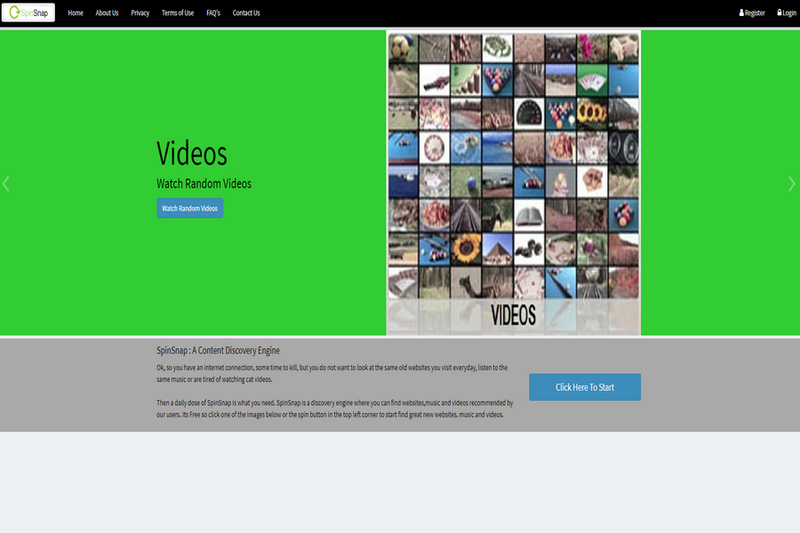 SpinSnap gives you the option to choose between what you the website images and videos. Choose whatever you want and roll. It’s a good application if you’re dying from boredom and want an escape to something generous and worthy. SpinSnap basically stands to promote a better look at life with the sense of nice well being. 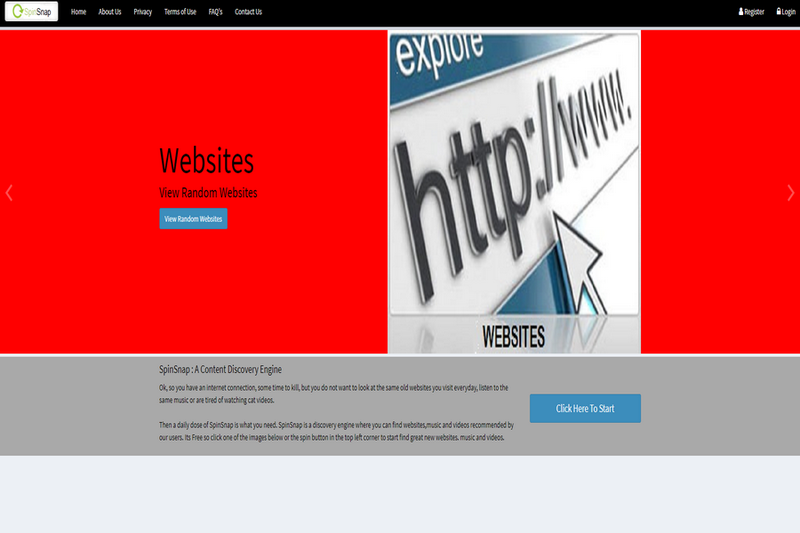 Within the website, you can completely lose yourself. The site gives you an option to recover from all the ill traits you face in free time. You can click on endless links and read whatever you find tasty. It’s just like eating free knowledge on the random clicks. You will just see relevancy on each click of the link. You will not just leave yourself rolled in top 3 sites or something but much further and that’s what SpinSnap is all about. It is to deliver some extra knowledge, every time when you roll. Internet these days is filled with enormous options and opportunities like a library filled with all solutions. So goes with the SpinSnap. It lets you roll in random related links.